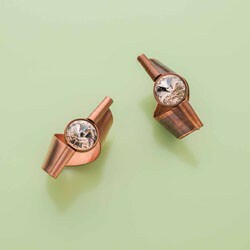 You will find the latest creative techniques and design trends with sparkling Swarovski crystals in Let It Bead from Create Your Style. Click here to view and download the file. 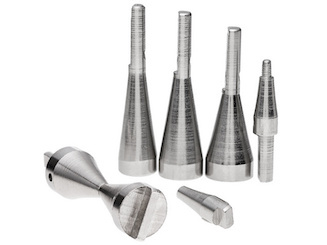 Inverted and Hourglass Mandrels were recently added as Accessories to the original Conetastic™ concept, clever additions that allow the tool to work even harder for you. 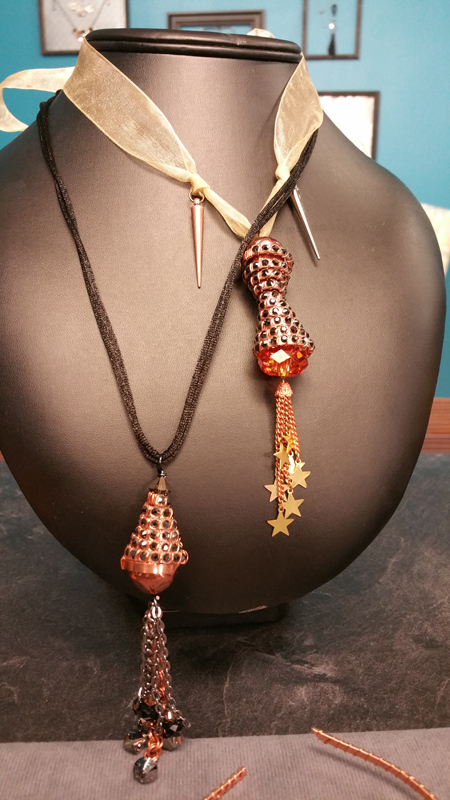 The Helixed and Twined workshop at was a success, with students finishing their beautiful pendants during class. The attendees can now access a Facebook page that I have devoted to the project. Stay tuned for announcements of classes to come. An updated browser is needed to view the video. Bend it, twist it, shape it, wear it. 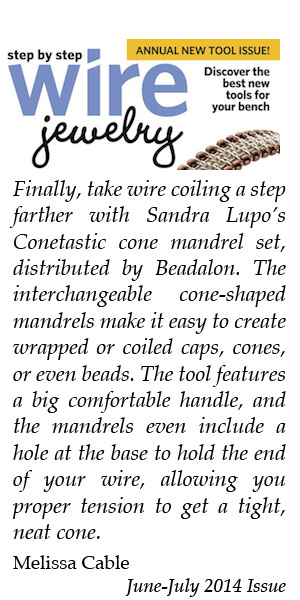 In my latest episode from the Beads, Baubles and Jewels Television show, watch as I warm-up by bending and shaping sheet metal using Conetastic™. The design is then enhanced with patterns, texture and color. View segments of this latest video and a sampling of others on my Video page. 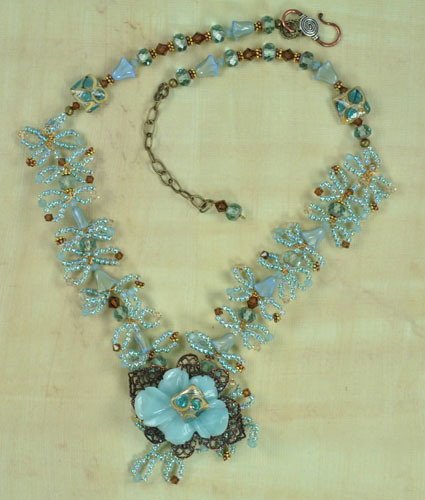 Lush Garden Necklaces display a palette of colors, textures, and shapes using vintage or contemporary themes. View several of my other original creations on my design page and in the Gallery of Designs on the Fire Mountain Gems and Beads website. Conetastic™ Signature Series, Kits and Instructions - all are available in my store. 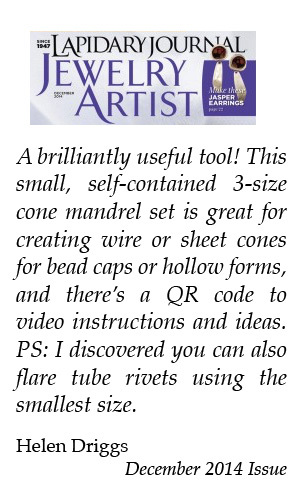 A free Hourglass and Pearl Earring Kit will be included with your purchase of the complete Conetastic™ Signature Series. 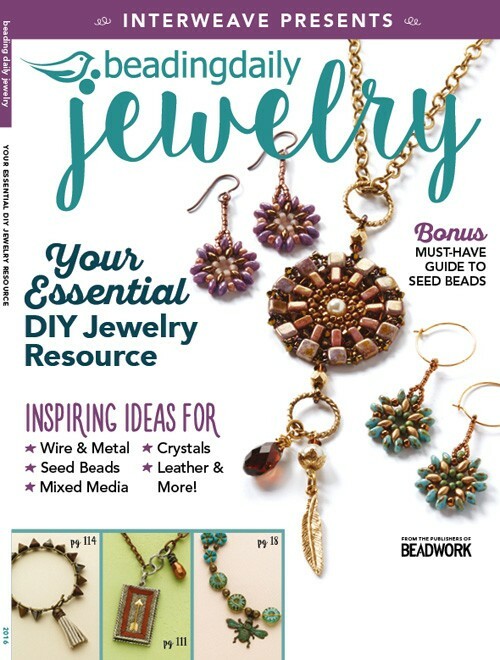 Instructions for my Finger Bling Ring are featured in beadingdaily magazine and are available online from Interweave.